The recently launched bCasino from GS Technology Limited Casinos, aims to primarily service the UK’s growing mobile gambling market as well as those that still prefer gambling at home on their desktops. To this end, bCasino has elicited the services of several top online casino software providers to create a sophisticated and varied online gambling platform. 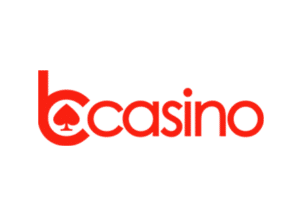 bCasino is owned and operated by GS Technology Limited Casinos and is licensed and regulated for the UK online gambling market through the UK Gambling Commission. New members can look forward to a substantial welcome bonus package including a 100% deposit match up to £500 + 50 Free Spins. Apart from this, 24 hour customer support and several other incentives are also available. With a number of the industry’s biggest software brands regularly contributing their unique games to the platform, UK players can enjoy an interesting and varied mix of games. This includes an enormous range of video slots, along with a variety of roulette and blackjack games and a live casino. If you happen to be a video slots fan then bCasino may just be your ideal UK online casino. With so many different software brands contributing games, it tends to be a bit overwhelming scrolling through thumbnails and making selections. Luckily bCasino have wisely included a mini dropdown menu will allows players to select slots based on software brands as well. bCasino stocks all of the hottest slots that are currently trending or are historically popular including Starburst, Reel Rush Slot, Gonzo’s Quest, Joker Pro, Copy Cats and tons more. While bCasino does offer a variety of virtual roulette and blackjack games, their standout feature here is their impressive collection of live dealer casino games. Live dealer games combine elements of online gaming with the look and feel of brick and mortar casino tables to create a unique platform. bCasino live dealer games are supplied by Evolution Gaming with some additional games supplied by NetEnt Live. Table gaming enthusiasts can choose from an abundant variety of live roulette, live blackjack, live baccarat and live poker tables, each with its own unique take on the games. While there is no phone support currently available at bCasino, their live chat feature more than makes up for this. Live chat is extremely active and will appear onscreen the moment you open the bCasino homepage, asking you if there is anything that support can assist you with. This is quite handy, particularly during the initial stages of exploring the casino and perhaps signing up with them as well. Support staff is very friendly and are able to assist with virtually any issue although sometimes using email support will yield better results. Support is also available in the form of highly informative and simply explained FAQ’s which can actually go a long way in solving issues without the need to contact customer support. Mobile casino gaming is becoming the number one way in which UK players experience online casino gaming. We’ve seen more than a few top new UK online casinos with great mobile platforms and bCasino is certainly no exception here. The mobile casino platform looks every bit as good as their desktop version but with the sort of mobile enhancements that make gaming on the go a breeze. Navigating the bCasino mobile platform is quick and easy thanks to HTML5 technology which works perfectly on iOS, Android, Windows and Blackberry operating systems. Games load fast and look superb on both smartphones and tablets.